A recent study by Hubspot demonstrated the evolution of digital advertising in recent times and how display advertising has had a rough time as of late trying to compete with newer forms of advertising such as native ads and mobile. However, it proved you can still achieve huge results with display advertising even in 2016. If you’re not aware of what display advertising is, in the simplest of forms it’s the means of advertising something on a website via a banner ad, video ad, or something visual. 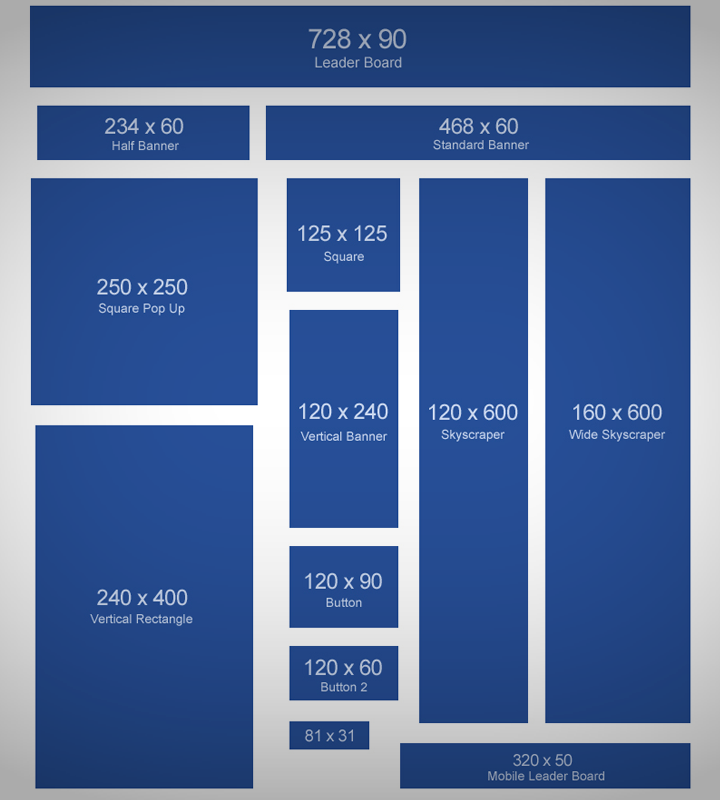 The most common of which is the banner ad, a banner or image served as a medium between the site you’re advertising on and the site you’re looking to advertise. Obviously revenue and conversions are what’s most important when it comes to serving banners, but often these go hand in hand with the better clickthrough rate. Clickthrough means someone actually clicking your banner and going through to your site. 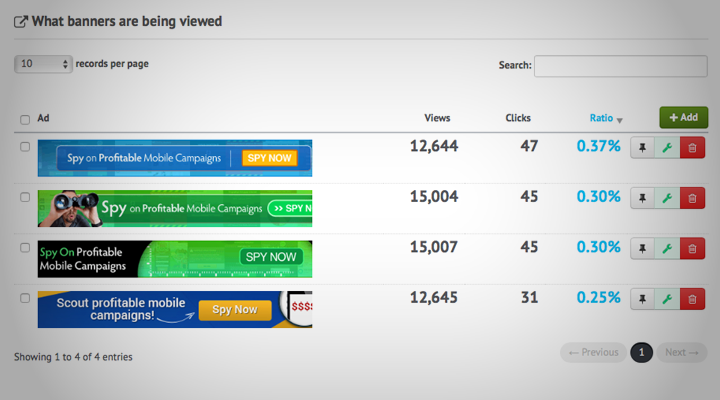 In this post, I will show you how we utilise banner ads on our platforms to full effect and how we were able to double our monthly revenue from a few simple split tests on one specific banner placement. “The average clickthrough rate of display ads across all formats and placements is 0.06%”. That means that for every person that visits your website, only 0.06% is going to actually take notice and click your banner (on average). This is obviously quite a low percentage; however, if you get enough traffic, it’s still very possible to make some great profits off of even as low a CTR (click through rate) as 0.06%. Whether you’re doing direct media buys, running banners as an affiliate, or fulfilling your own inventory on your own web properties like we do, there are some easy ways you can get more from your banners. We like to run our own banner campaigns on our forums from time to time, purely because we can often make MORE money running internal offers than we can selling the banners. Even though we can charge a premium, we see fantastic results painting the spots ourselves. 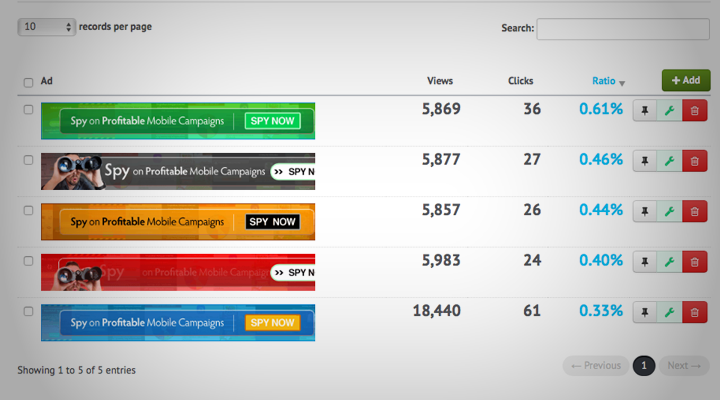 Recently, we started promoting the amazing new affiliate intelligence tool AdsXposed, which if you’re a mobile affiliate reading this, you need to check out my review here. We started off by getting some very simple banners made in order to get some results and then putting them up on one of the leaderboard spots on AffiliateFix.com. The initial results were very good, but I knew we could get more out of the placement and overall improve our CTR on the banners. I looked for a suitable tool to split test some new banner concepts and stumbled across the fantastic trck.me. For those of you who are unaware of trck.me, it basically lets you split test different banners against each other by providing you with a banner and link rotator and all the stats you’d need to calculate results. Below you will see how we then managed to improve our CTR by over 100%. It was simple but effective and initially yielded some good results, bringing in some good early clicks and revenue in week one with no split tests at all. By introducing some more banners, the clicks per banner obviously decreased as they were spread out, but we managed to outperform our original banner by 0.13%. It was interesting to see that we’d now more than doubled our original banner CTR with one simple test. The numbers and conversions had also doubled on the back end so it was well worth the test. The main takeaway here was that – no matter which colour combination we tried – we had found a clear winner with an average CTR of over 0.60%, which if you go back to my first statement about the global average being 0.06%, we’re pretty happy with. The last point is one most people actually forget about. When it comes to banner ads, visitors can often experience banner blindness if they’re seeing the same banner over and over. We actually saw better results from constantly rotating several banners at once, as opposed to one banner. 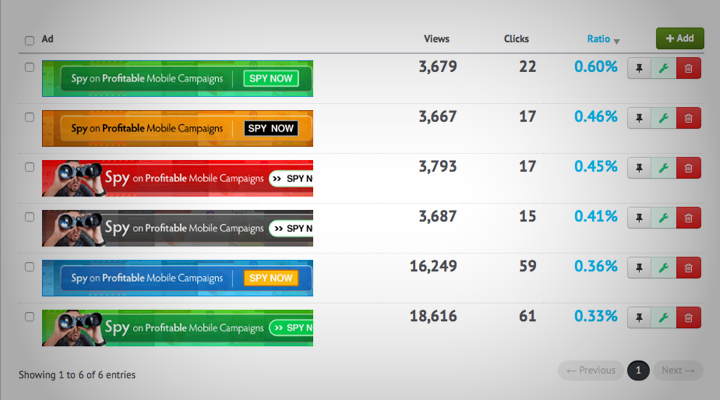 Here’s how you can start split testing your banners and improving your CTR today. The best thing about trck.me is that they offer a 30-day free trial, so you can even split test your banners for 30 days for free and see if it’s worth your money upgrading to an annual account, as I have just done. Simply visit trck.me now and sign up. Once you’ve signed up, log in and navigate to Banners in the side menu and click “Add Tracker”. Then, click the option to “Add Another Banner” to add your split test banners in. Once done, click “Next Step”. Then, you simply need to give it some time and log back in to check your results. We’ll be split testing other elements of our banners over the coming months and will follow up with this post soon.